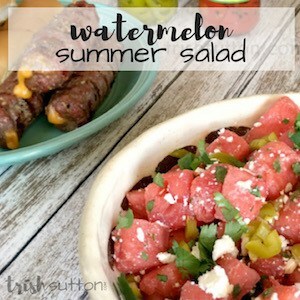 Nothing says summer like watermelon. And on a hot summer day a couple scoops of creamy Watermelon Soft Serve Frozen Yogurt will hit the spot. 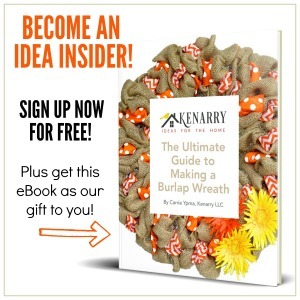 Hey there, Kenarry Readers!! 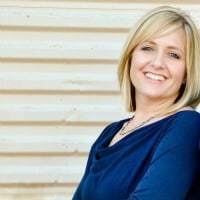 It’s me, Trish, lover of all fresh fruit. By now most of us know that Carrie is not the biggest fan of fruit. I am quite the opposite, I could live off of fresh fruit along with a side of chips and salsa or popcorn. Especially watermelon. It has always been my favorite fruit. What about you? Do you have a favorite fruit? Summer means sweet red watermelon will soon be available in every market. Of course, for those lucky enough it might also be available in your very own garden. 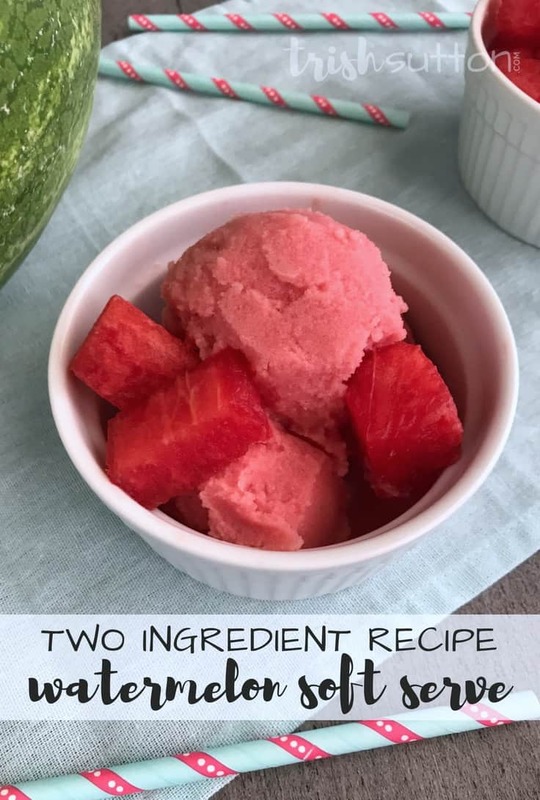 However, it is that you acquire your watermelon I have a super simple refreshing summer recipe to share with you that requires just one additional ingredient. 1. Begin by cutting the watermelon into 1 inch size cubes. You will need 3 cups of cubes. Place them in a bowl or plastic bag then put them in the freezer for 30-45 minutes (or until they are frozen solid). 2. 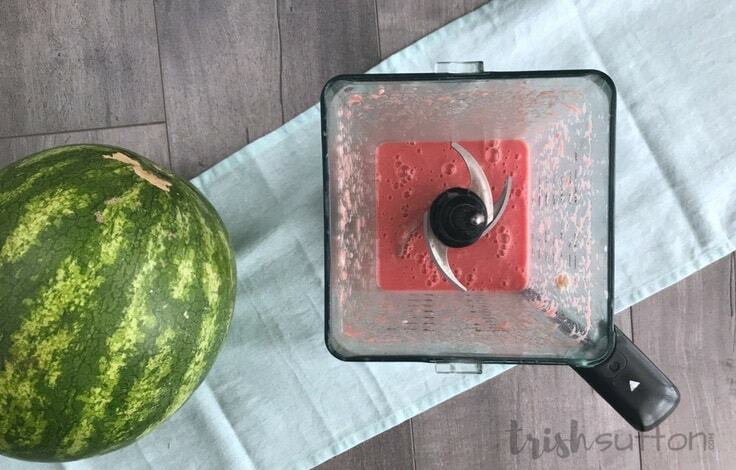 Once the watermelon is frozen remove it from the freezer then place half of it in a blender (or a food processor). Blend it on a medium setting for 45 seconds to a minute. 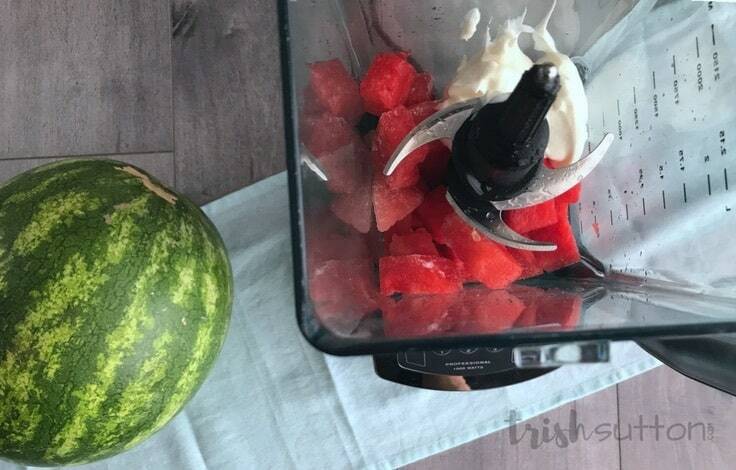 If the watermelon still seems chunky blend it a little longer. The goal is that the fruit becomes a bit grainy. 3. Next add half of the yogurt to the blender. Turn the blender back on to a lower setting and allow the two ingredients to blend until the consistency becomes creamy and smooth. 4. 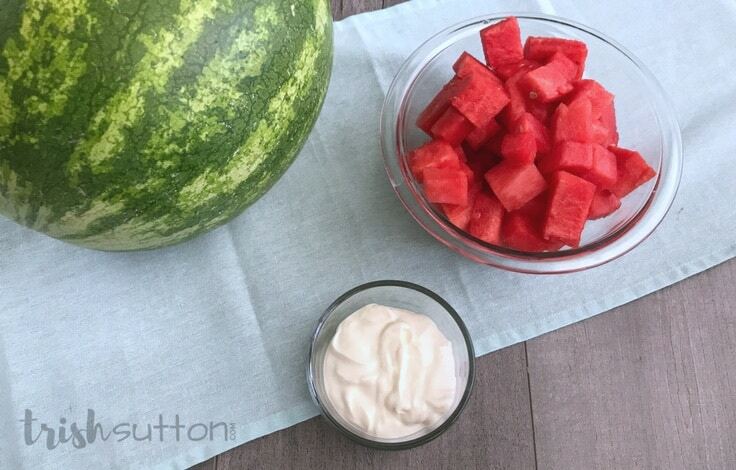 Pour the soft serve into a container that has a lid then repeat the steps with the remainder of the watermelon and yogurt. 5. Cover and freeze for an hour then it is ready to serve! 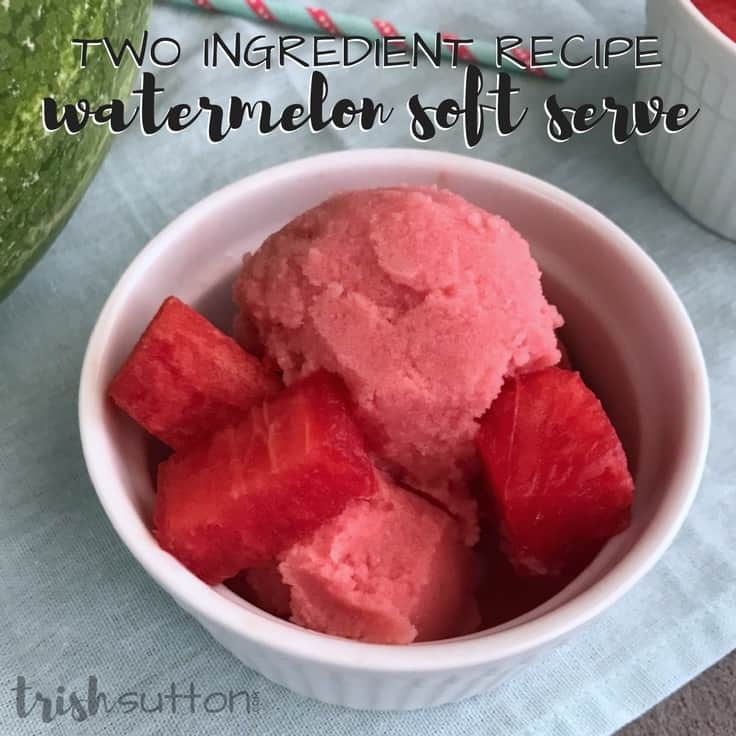 Your Creamy Watermelon Soft Serve Frozen Yogurt can be left in the freezer longer than an hour; however, you will need to allow it to soften before serving. Simply add a few inches of warm water to your sink or a larger container then place the freezer container into the water to soften. Cut the watermelon into 1 inch size cubes. You will need 3 cups of cubes. Freeze the cubes in a bowl or plastic bag for 30-45 minutes (or until they are frozen solid). 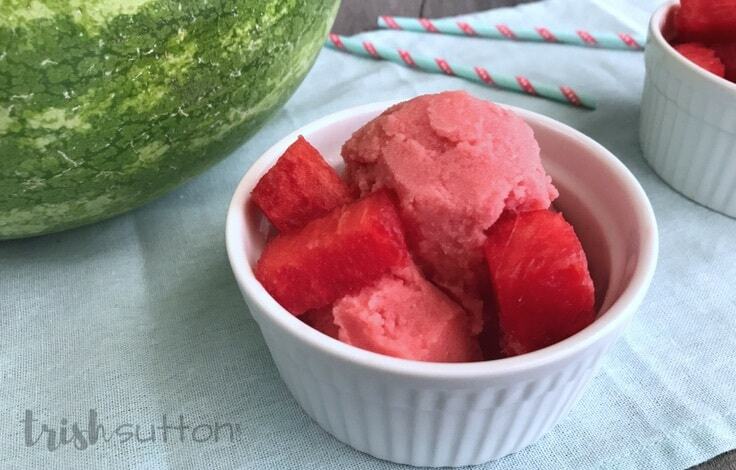 Place half of the frozen watermelon cubes in a blender (or a food processor). Blend it on the medium setting for 45 seconds to a minute until it becomes a bit grainy. 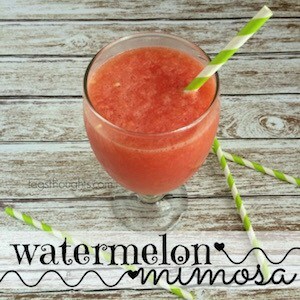 If the watermelon still seems chunky blend it a little longer. Next add half of the yogurt to the blender. Turn the blender back on to a lower setting and allow the two ingredients to blend until the consistency becomes creamy and smooth. Pour the soft serve into a container that has a lid then repeat the steps with the remainder of the watermelon and yogurt. Cover and freeze for an hour then it is ready to serve. 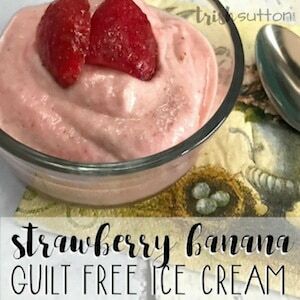 Find a few more of my favorite refreshing treats are below.